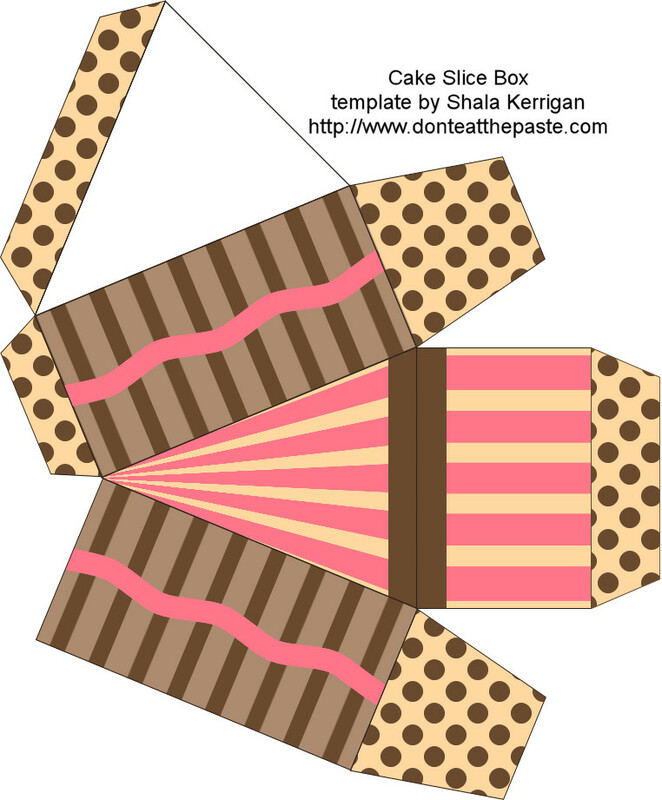 Don't Eat the Paste: Cake box for all of you! 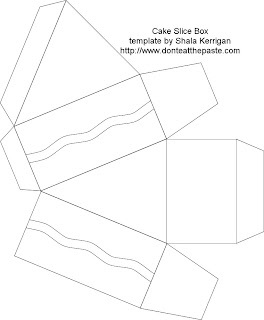 Tomorrow is my birthday and since I can't share my amazing, wonderful cake from The Flying Dutchman with everyone, I made you a slice of paper cake. 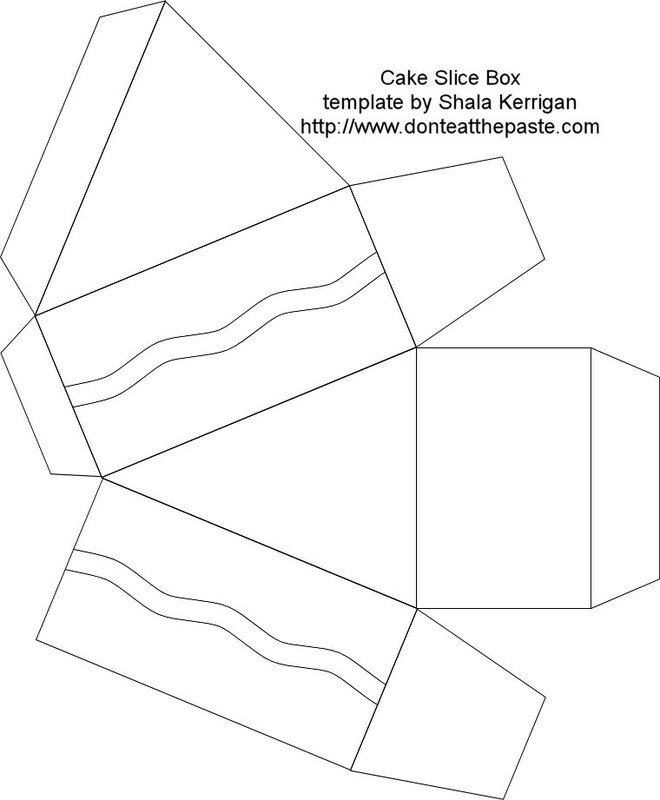 This is made so 8 slices will make an octagon shape for favors. Click on the image for the full size 100 ppi version. I'm including the blank template for you all as well. If you're ever in Anchorage, check out the Flying Dutchman. For the last 27 years it's where my birthday cakes have come from, and I think my dad looks forward to my birthday as much as I do for those cakes. They started carrying cupcakes as well as their usual line of delicate pastries, tarts and cookies. HAPPY BIRTHDAY!! Hope you have a great one. Thank you for the lovely cake. Happy Birthday and thank you for "sharing" your cake with us.. Happy Birthday! Here's to many, many more! I love the box, I'll be linking. Happy Birthday! Great cake :) thanks for sharing. 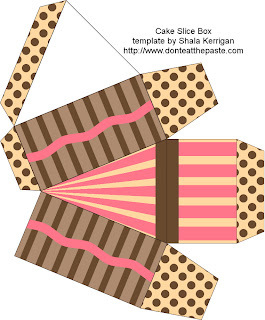 Thanks for sharing your cake with us!